I know what you’re thinking – those posters of Middle Earth are gorgeous. Of course a map should be beautiful. 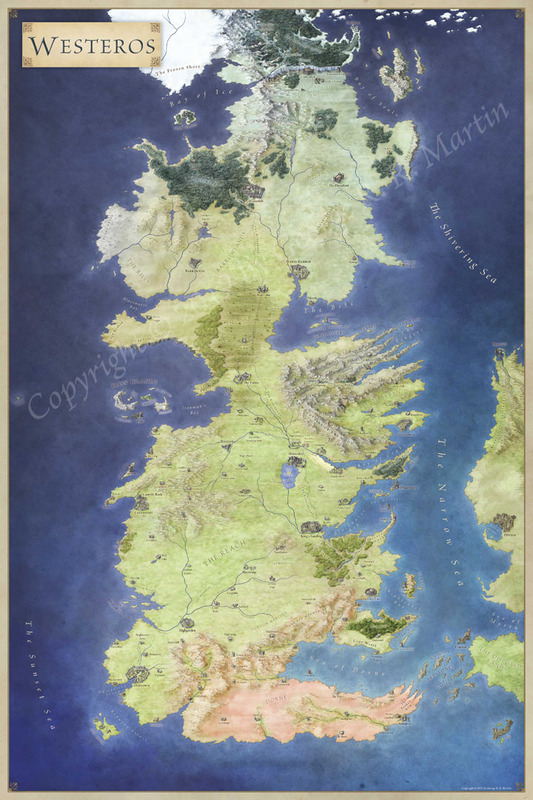 But for worldbuilding purposes a pretty map is a Very Bad Thing. Beautiful things are precious, and we tend to want to leave precious things pristine and untouched. When we’re building worlds we need to break things, and often. So, out with any thoughts that we’re making a pretty map. We’ll be making a functional map. In fact we’ll be making many maps, one after the other. In exactly the same way that your notes are not the final manuscript, a map isn’t the final world. It’s a visual notepad, and you should be crossing things out, erasing sections and rebuilding from scratch as you go along. So we won’t be needing photoshop today, we need a pad of scratch paper and a pencil. Right, let’s build a world. First of all, think about the ‘world’ you need to build. In many cases this is a defined area that’s much smaller than the planet you’re on. Very few stories truly span a globe, so let’s begin by cutting down to the area that the story explores. This keeps the work focused on a reasonable area, and means there will always be distant and mysterious lands to explore down the line. In your tale there will be nations, city states or power centers of some form. Start by making a note of their relationships to one another. Are they at war? Are they aloof? Do they feud over resources or are they closely allied? Think over the things that make them stand out. Are they famous for their expansive grain fields? Their iron? Their navy? I’m sure you can see the theme here. Nations are defined by the geography they inhabit as much as we define the geography by the nation. A nation with a large navy needs sea access, but it should also have natural defences like a mountain range that allows the nation to neglect other military forces in favour of it’s navy. Two countries at war need to be close, and need to have a means of attacking one another. Focus on major terrain at this point – how much coastline and mountain ranges. Make notes about other terrain that comes to mind – the tulip fields of Alak’tor, the salt mines of Keshel – those will come in useful later. It’s now time to start our map. Grab a pencil and faintly draw in circles where your nations are. Nations that are allies or at war should be close. Those that rarely interact should be further away, or will have an insurmountable natural barrier between them. Drawing circles on a map may sound easy, but this stage can take a few tries to get the relationships right. But circles aren’t really a map. Let’s draw some coastlines. Think about which of your nations need large coastlines and which should be landlocked. Then let your pen wander. Really – avoid straight lines. Coastlines are jagged and broken things. If your line doesn’t look like it was plotted by a drunken ant, you’re doing it wrong. Now let’s lay in some mountains. Mountains tend to form ridges. Avoid the temptation to fill in whole blocks of land with mountains. Instead, lay them out in wavy lines. They often follow the edge of a coastline (think the Andes). From a story point of view, they form obstacles for your heroes and they create natural boundaries between nations, or between nations and the great unknown. Mountains also create boundaries between climates. So if you need a desert in one area and a jungle in the other, you’d better place a mountain range between them to stop the rain from the jungle getting to the desert. Next up, we have rivers. Rain falls on mountains and runs downhill to the sea. It always flows to the lowest point – and there’s always one lowest point. This means that rivers don’t branch as they flow to the sea, they only join. So – no rivers going from coast to coast. At some point that requires water to flow uphill. No lakes that have two separate rivers leading to the sea – remember, only one lowest point leading out. Think of a river like a tree. There’s one trunk where it enters the sea, but a panoply of branches reaching towards the mountains. Rivers are also strategically important. There’s hardly a rivermouth in the world without a town on it and most great cities lie on a river. If you know where your cities are going to be, make sure there’s a decent sized river flowing through them. Equally, rivers make great defences. It’s hard to build a wall all the way along your nation’s border, but it’s almost as hard to get an army over a well defended river as it is to have them scale a wall. 5. Hills and Forests, add them wherever you see fit. These are easily moved. Add some hills to the edge of your mountain ranges. Lay in some forest and see how it looks. Remember, don’t be precious. If you don’t like it – start on a new sheet of paper. Sketch another coastline. Turn it upside down. When you’re happy with the terrain, go over the pencil lines with pen, and erase the pencil – including your nation boundaries. Scan and photocopy the map. Go away and have some food. When you come back, try the following experiment. Ignore your previous nations. Look at the virgin world with a new eye. If you were founding a country in the world, where would you start? What would be the key strategic choke points? Look at the world as if you were playing Civ. Where are the resources you need to defend, what lands would you try to annex? Use some coloured pencils to sketch in different nations and boundaries. Edit the rivers if you need to, move things around. You’ve got lots of copies of the map, experiment. Once you have a layout you like, we’ll add cities. Cities are where they are for a reason – they don’t just appear up in the middle of nowhere. Population centers need food, water, trade and security. Rivers can provide all of these, which is why towns and cities tend to spring up at river mouths. Locate your capitals in places that are easily defended and that have good transport connections to the rest of the nation. Place smaller cities in key locations, whether that’s in the heart of a mining community on the edge of a mountain range, at a key strategic river crossing, or a market town in the middle of leagues of prime cattle ranching land. At this point, also mark in major fortifications. With these indicated it’s a simple matter to place the roads. These will connect the major cities, the main food producing regions, and any other major trade routes. You now have a perfectly functional map! But remember, nothing is set in stone. Each time you run through this process your map will be better. Each time you sketch the map you’ll have new ideas. As you continue to write about your world you’ll come up with new thoughts on what terrain you should have, how two countries relate across their border, where a great wilderness needs to be. Redraw the map – it’s there for you. Both your mapdrawing and your text will be better for the relationship between map and story. And when your manuscript is ready to go from draft to final, your map will be ready to go from sketch to illustration. But that’s a post for another day. This is a long post, but not as long as an article I wrote on a similar topic for the Kobold Guide to Worldbuilding. If you enjoyed this post and found it useful, then definitely consider picking up the book – it’s got lots of good stuff along these lines. You’re welcome! Glad you’re enjoying the posts. I really felt you got the basics down perfectly. I have been making maps for battlesm and worlds, since back in the days when all there was was sandtables, and a few guys (and gals) using the original CHAINMAIL rules written up by Gygax in that ring-bound silver manual. Glad to see that you have made this art understandable. I used to stare at Rand-McNalley maps trying to figure out how surface features and water features interacted. Thanx again. Great article. It does leave me wondering how you scale the map when your are going through this process. Are these countries the size of Andorra, Luxembourg, and Lichtenstein; Spain France, and England; or China, India, and Brazil? That would have an impact on cities, populations, resources, and travel times, as well as change progressions in climate and terrain features. Do you use an inherent idea of of size based on real world examples as you draw these or to you have some rules of thumb or other process that you use for scaling maps for various circumstances? Yep, I left a scale off this on purpose. The scales really depend on what kind of transportation you have in your world. A civilisation with horses will be more spread out than one where they have to walk everywhere. In this case my nations could work at the size of Andorra up to the size of Spain. If it’s Andorra sized, then the little mountain kingdom is basically a single town locked in a high mountain valley. If it’s Spain sized, then the small mountain kingdom is closer to Lesotho. The sizing of the ‘city’ and ‘town’ icons is relative, so they work in a large scale and small scale map. But you definitely need to have an idea in your head of the scales involved. Two cities can’t be easy trading partners if they’re 1000 miles apart and people have to walk between them. I dont mean to nitpick, but horses actually dont travel faster. All they do is allow the human to not get tired when they finally get there. The speed is still the same, aa the horse needs to rest the same as a human. Unless of course you are using a relay system, where you can swap out your horse for a fresh one after it gets exhausted from running. Though to be fair that really only works with messengers and the smallest of army units. Trade caravans and the like would not benefit at all as draft animals seem to have only two switches: Standing and Plodding along. Yep, it’s great 🙂 That, and the map of travel times across the US by year, are excellent guides for travel time as a scale. Yep, mapmaking can be a rabbit hole – like any form of creation. For myself, I find that external deadlines are the best incentive to put down a map and call it down. I can tinker for weeks. I’d like to point out – as I see this remark in nearly every map-drawing guide – that rivers can in fact split in two. Apart from deltas, because not all rivermouths need to be estuaries, this does occur naturally, if very rarely, on Earth and is known as river bifurcation. The other thing is that deltas occur on quite specific geographic scales so it’s important for deltas to know the scale you’re mapping at, which isn’t strictly necessary for the looser style encouraged for this post. Okay, I hadn’t heard of that one. Once again it proves the rule that our own earth is stranger than most fiction you could ever get past an editor! Indeed, sensible to obey the rules in general though. Unless you understand how breaking them works, lol. Always love your tutorials. They are a great help thank you for sharing your skills and knowledge. You’re welcome! Glad you’re finding them useful. I get far too lost in the mapping if I start with that. For instance, the first world I ever built began in the story process, but then I had to map where places were in relation to each other to figure travel times between them. Then I went carto-crazy and blew the map up from roughly the size of Texas to a whole continent. And why would a mad mapper stop there? Next thing I knew I had 8 continents and no idea what to do with them. That was over 4 years and about 5 worlds ago. My suggestion: do as you say, start small, don’t go crazy with it, and don’t be afraid to change and/or start over. Either that or do what I do now, find an awesome map and get the artist’s permission to tinker with it. That way you mind is free to build without arguing with itself and getting cluttered with cartography. Maps can totally get out of control, I started off with a bay and ended up with a map about the size of the middle east. My co author said we need a world map to know where we are going I think I am on my 40th version with a relief map and a political map and its still not quite right yet. Such a beautiful tutorial. I like how you sketch the rough size of the nations before sketching the actual terrain. I can be quite terrible at organising the nations in order to create interesting political and sociological tension. Which I think drawing their influence first would get around some of this. Also I’m a big supporter of Worldbuilding by map. I think maps are critical to telling great stories, especially if your characters are going to be travelling a lot. You could have a lake whose outflow depends on which way the wind is blowing – or (a bit more farfetched, on a less Earthlike planet) on tidal deformation of terrain. This thought was perhaps prompted by a waterfall on one of the flying mountains in Avatar. The rock in question was clearly too small for such a river; but it might have a lake that drains only when the wind tips the rock in the right way. Great article, and really helpful. One thing I’d add for thought is that, although its true that cities need a reason to exist, that reason doesn’t need to be logical. For the most part and in the majority of cases it should be, but it’s nice, when world-building, to have at least one settlement in a place that makes no logical sense and then work out why it’s there. Brainstorming the weird can help flesh out not only the geography and history of as place, but it’s religion, culture and philosophy, too. Absolutely! As long as the weird is there by choice, it’s great. Actually, all of those places you just listed do have a water source near them, it’s just so small, and those cities are so big nowadays that they don’t really make sense anymore. Once your map is completed, how to you generate the climates and ecosystems (forests, deserts, rain-forests, etc.) appropriately? Is there a tool that exists that can use data about the layout of the world like the latitude of continents, bodies of water and maintain ranges to properly classify climate zones? I tend to stick to a few simple rules of thumb – don’t put deserts near forests, you generally should have some elevated terrain (hills, mountains) between verdant terrain and desert. Place mountains where you think large tectonic plates meet (or would have met a long time ago) – think of the Andes along the West side of South America – or the Himalayas at the top of India where that plate is pushing north. As you get closer to the equator, you have the tropics with more jungle. As you go further north you get more tundra and ice. Don’t have rivers going from ocean to ocean – give them multiple sources, and one place they enter the sea. If you stick to that you’ll likely be okay. Simply brilliant – thank you! Next Next post: Quick Mountain Tutorial!